The eighth goddess from the Dasha Mahavidya is Baglamukhi. Her name is the combination of Bagla and Mukhi. Bagala, which is a distortion of the original Sanskrit root Valga (वल्गा), means bridle. The headgear used to control a horse is known as a bridle. Hence Baglamukhi means the Goddess who has the power to control and paralyze the enemies. 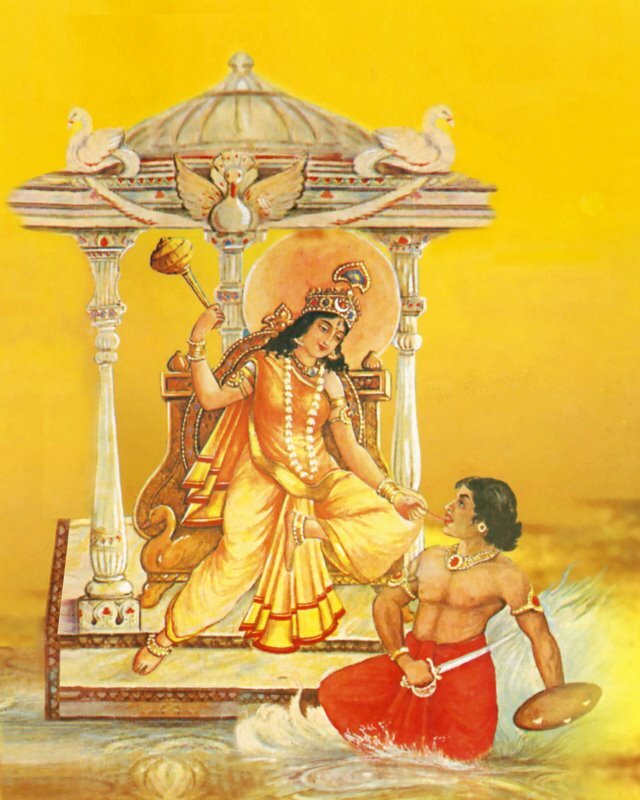 Due to her capturing and paralyzing powers She is also known as Devi of Stambhana (स्तम्भन). As per legends, when a huge storm erupted over the earth which threatened to destroy the whole of the creation, all the Gods assembled in the Saurashtra region and prayed to the Goddess. When appeased by the prayers of the Gods, Goddess Baglamukhi emerged from the Haridra Sarovara and calmed down the storm. Baglamukhi mantras are chanted to defeat and paralyze the enemy. She is also worshipped to win the court cases and to get success in all sorts of competitions. She has the undisputed power to protect those who worship her by controlling their enemies from harming them in any manner; thereby turning failures into achievements and defeats into victories. Thus, here are 9 Goddess Baglamukhi Mantras to Chant For Her Blessings.